The next town along the “Patriot’s Trail” that we’re stopping at for our Loving Local Life series is Lincoln, MA. Following with our trend of historical towns, Lincoln is no exception! Lincoln is home to the Thoreau Institute, part of the Walden Wood Project. The Thoreau Institute Library holds over 60,000 items, all pieces of Thoreau-related material. There are conservation efforts, a farm, and plentiful educational elements to the Walden Woods Project, where the Thoreau Library is located. Lincoln is also home to the Gropious House. The Gropious House was designed by the founder of the Bauhaus design school, and follows the Bauhaus style combining traditional elements of New England architecture. 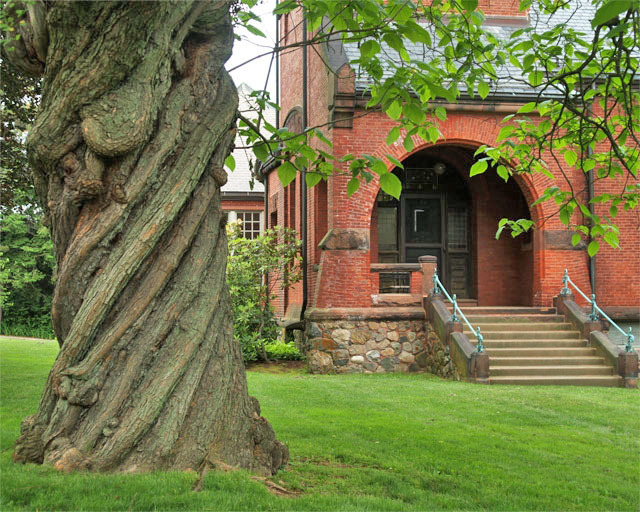 Anyone interested in Historical Architecture (especially in New England) will love a visit here! The Codman Estate is another historically-steeped element of town. Known to some as “The Grange,” this estate has been passed through generations. Not only is it a landmark to visit, but the Codman Community Farm is a Lincoln staple, which has been in continuous operation for over 150 years. If the farm has peaked your interest in heading to the great outdoors, the Mass Audubon Drumlin Farm Wildlife Sanctuary is another great place to go. Drumlin Farm is a working farm, with 206 acres total, and four miles of trails to explore, with two Universally Accessible trails. For something with a bit of indoor and outdoor choice, the deCordova Sculpture Park and Museum makes a great local day trip! deCordova is a welcome place for new visitors and return guests alike, supplementing the 3,500 piece Permanent Collection in several media with ever-changing Upcoming Exhibits. Finally, no visit to Lincoln is complete without a stop at Ponyhenge. An eclectic display, a local property owner found that each time they went away they would return to a new pony figure or statue left on their land. When driving, pull off at 39 Old Sudbury Road in Lincoln and look across to find this display to complete your tour!